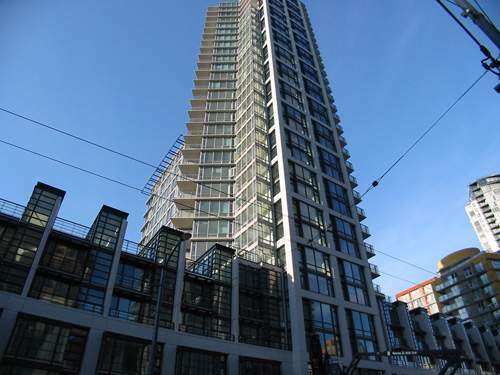 Elan Project by Cressey development in downtown vancouver bc, is located at Seymour Street and Drake Street in Yaletown. This 34 storey concrete tower was designed with striking angles to maximize the water and skyline views. Its a high-rise multi-family condos project. Elan has been designed with striking angles to maximize its jaw-dropping view of False Creek, Spanish Banks and the downtown skyline. The architecture and design by Paul Merricks displays distinctive style and elegance.